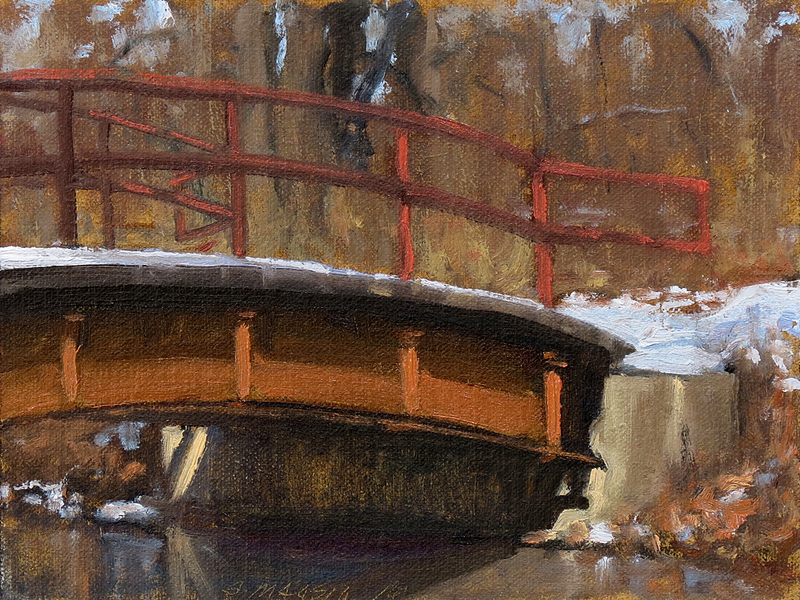 on a beautiful crisp sunny day. This Western landscape painting is a view of a couple Ocotillo plants in the beautiful Joshua Tree National Park from our last trip there. 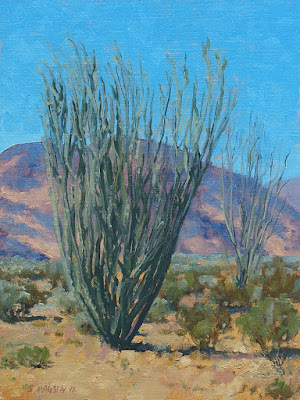 "Ocotillo Country" done in oils on an oil primed linen Ray Mar panel. 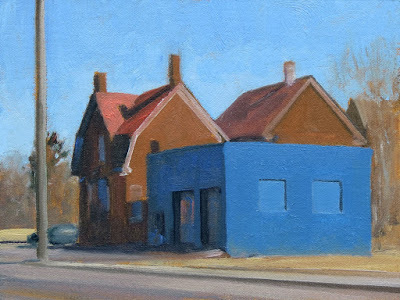 This urban landscape painting is a view of sunlight and shadows on a blue Oakland Ave building in Detroit. 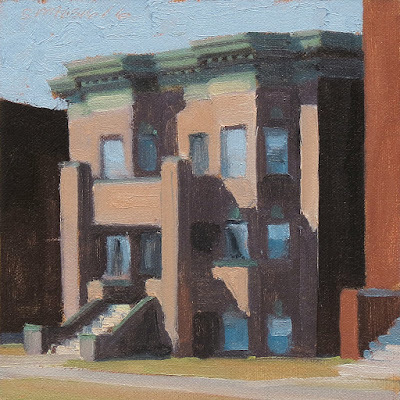 This urban landscape painting is a view of sunlit row houses in Detroit. 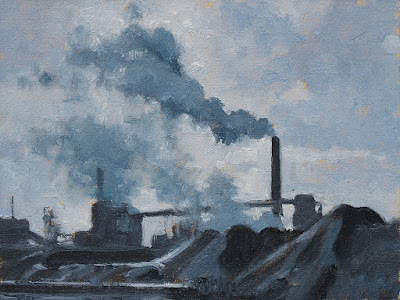 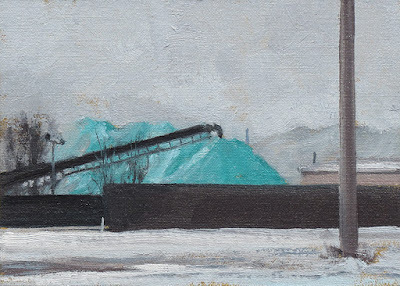 This industrial landscape painting is view of the always intriguing steel complex on Zug Island in the Detroit river. 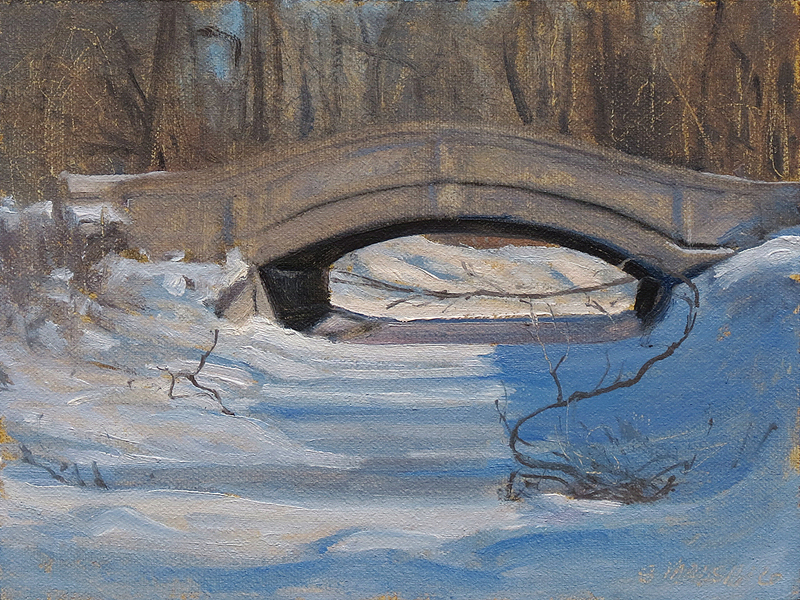 A very cold day made it even more exciting. 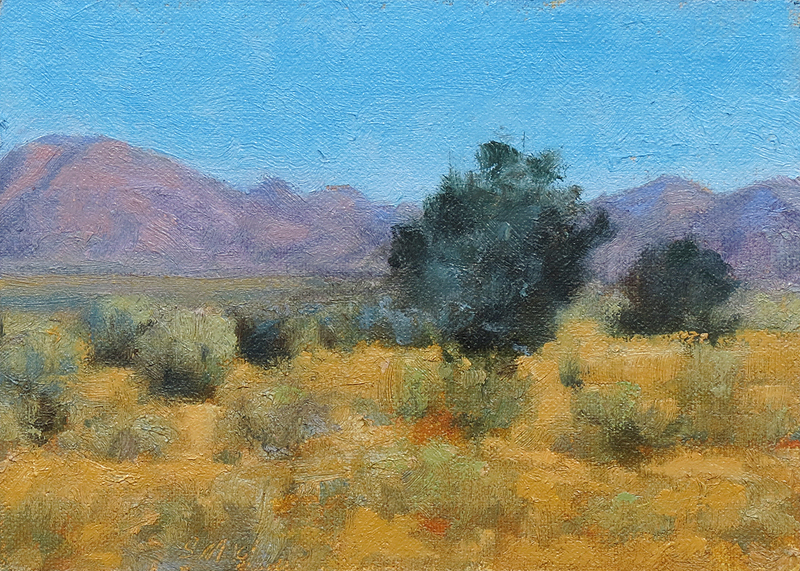 This landscape painting study is a view from the beautiful Joshua Tree National Park from our last trip there. 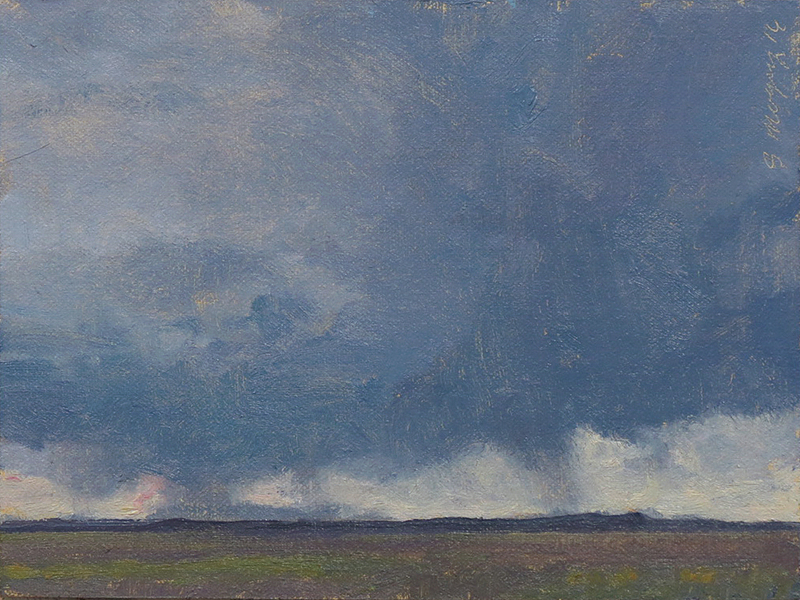 This landscape painting study is a view of an approaching storm on the flats of New Mexico. I have been thinking about doing more landscape paintings and recently found a large body of images I had from the late 70's of trips out West. 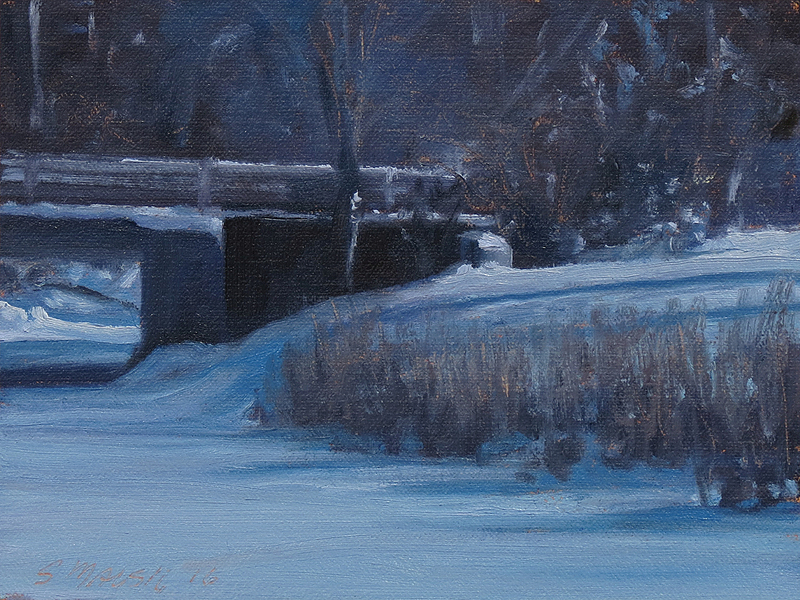 The first gallery I showed with was Trailsides Gallery in Jackson Hole, WY. 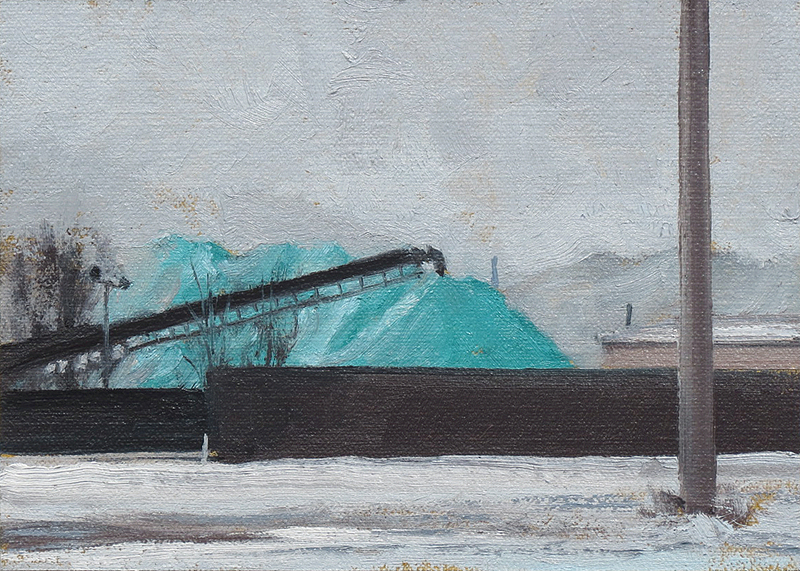 many, many years ago. We are thinking about taking a painting trip to NM this Spring and Fall. 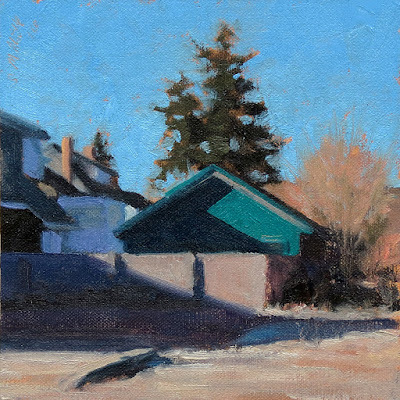 Can't wait to do some plein air out West. 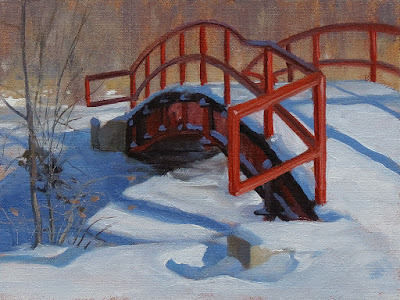 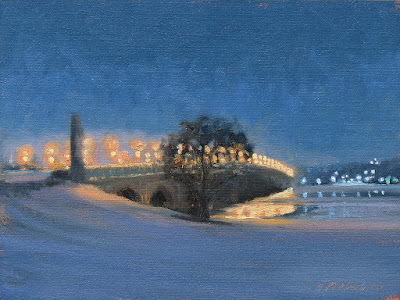 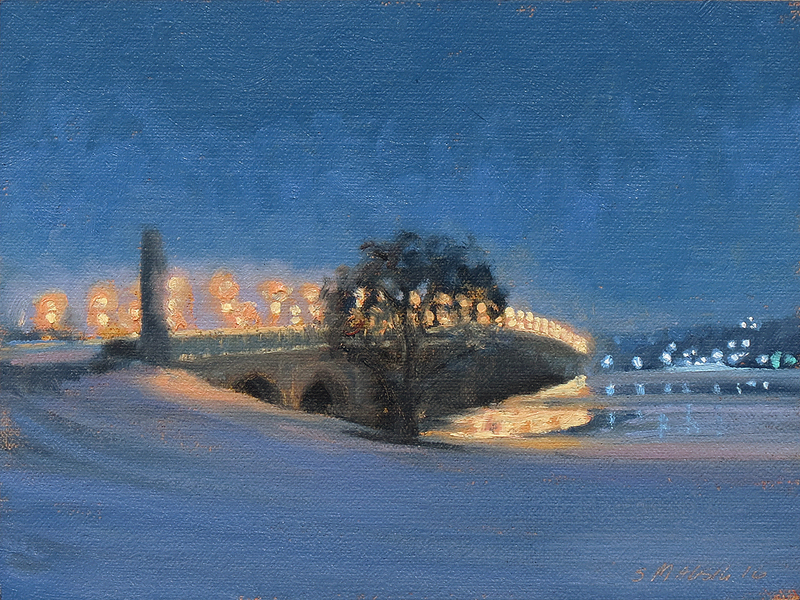 This winter landscape painting is a view of the red footbridge over Nashua Creek on Belle Isle Park in Detroit on a beautiful crisp sunny day. One of my favorite bridges on Bell Isle. 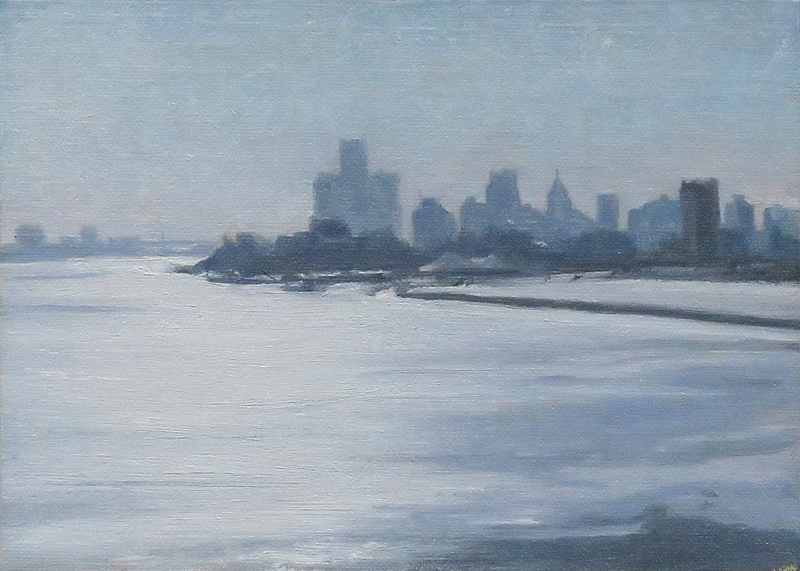 This winter landscape painting is a view of the the Detroit skyline and river from Belle Isle Park.